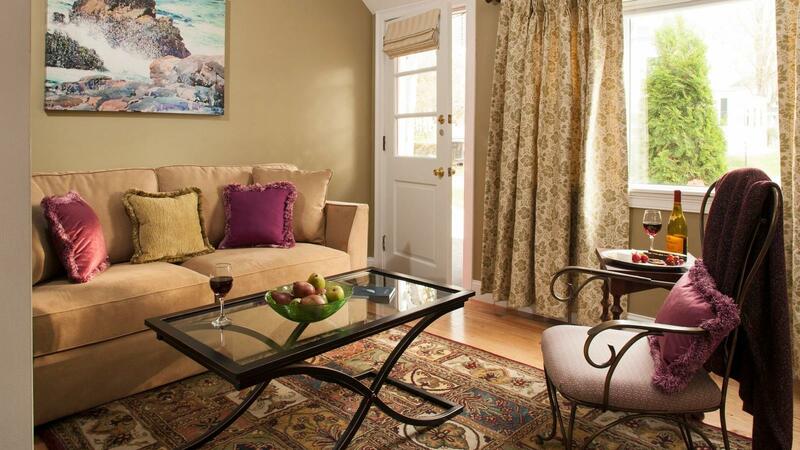 This spacious suite provides luxurious accommodations in the heart of historic Kennebunkport. Cathedral ceilings, hardwood floors and large windows greet visitors as they step inside. The main living room features a flat screen TV and comfortable seating, including an ultrasuede sofa. Just off the living room lies the breakfast room, complete with a stainless steel refrigerator, quartz countertops, breakfast bar and a Keurig coffee maker. 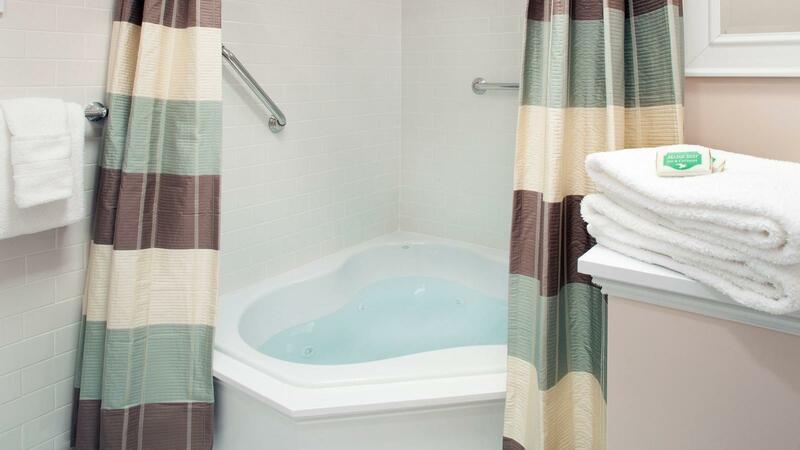 During your stay, enjoy the ultimate in quiet climate control with heating and cooling from Mitsubishi. 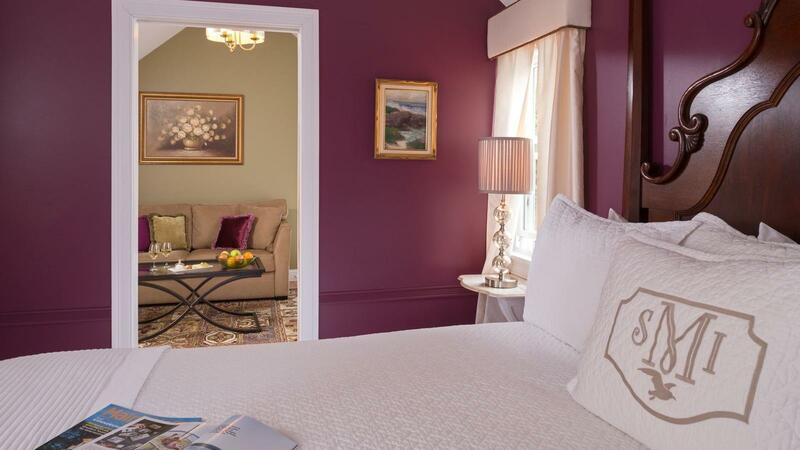 The master bedroom is decorated in rich wine tones and soft accents with an additional flat screen TV and a plush King bed with a carved mahogany frame. 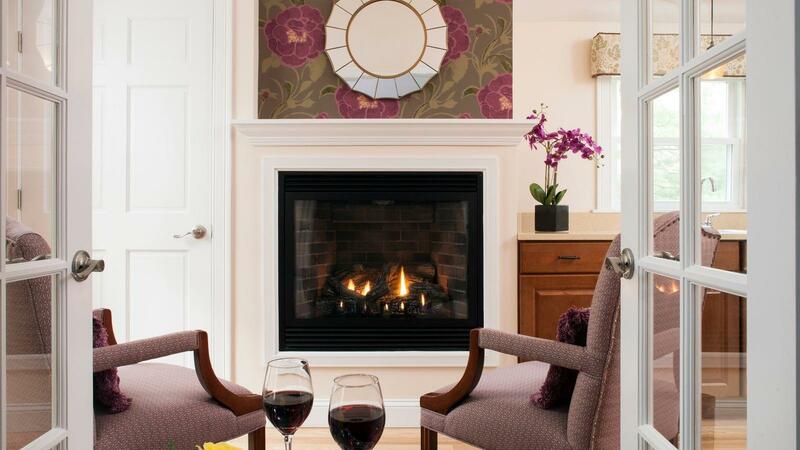 Open the French doors for an unobstructed view of the sitting room’s large gas fireplace. 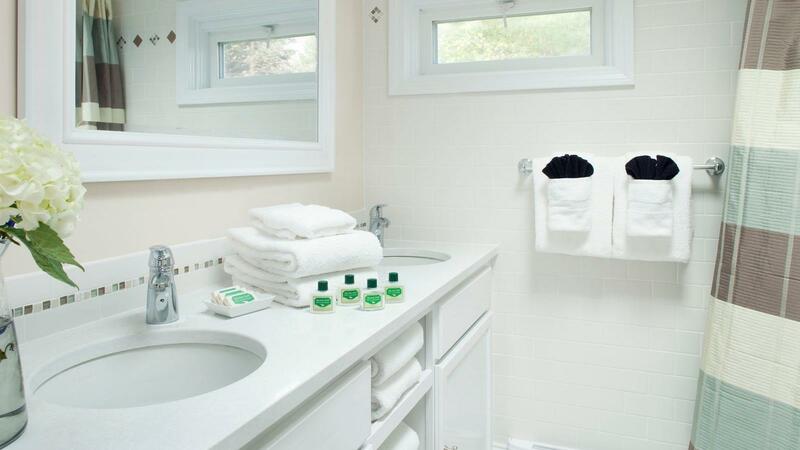 Freshen up in the tiled bathroom with heated marble floors and a double vanity or enjoy a soak in the double whirlpool tub under the vaulted ceiling and skylight, which is perfect for stargazing.